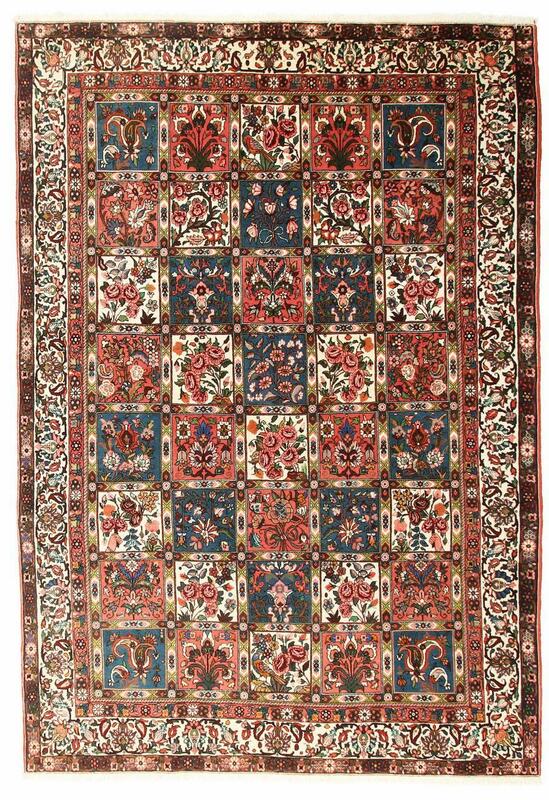 Bakhtiar carpets are made of strong and sturdy wool. Because the carpets - named after the nomads of the Bakhtiari tribe, who live in the Sagros mountains near the city of Isfahan - are among the most robust of all Persian carpets. They are knotted from thick wool, which reduces their deterioration. It is not as fine and soft as the cork wool of other Persian carpets, but it has a clear advantage in its resistance to everyday stress. 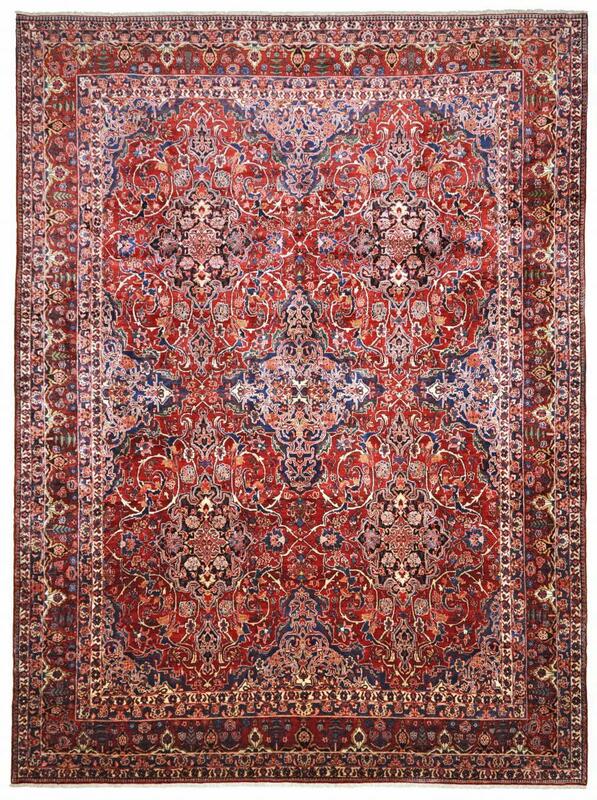 In many places Bakhtiar carpets are made with motifs inspired by gardens. The so-called Chesti pattern features designs with plants and animals from nature. They are inspired by typical Persian gardens. From time to time one also finds carpets of the Bakhtiari, whose patterns resemble those of the nearby Isfahan region. This type of carpet is often found in the entrance area or passageways of Iranian houses. It not only brings a bit of nature into your home, but it is also an extremely reliable carpet. Examples provided from a selection of over 150 Bakhtiar rugs by Nain Trading from Hamburg. Hamburg, Germany is still the most important hub for the trade of oriental rugs in the Western World with Nain Trading offering one of the largest assortments of handmade oriental carpets worldwide. Location - where do you the home of the Bakhtiari (Bachtiari)? The nomadic Bakhtiari people live in the Sagros Mountains near the town of Schahr-e-Kurd.